Hiring a professional plumber is the best case for most things plumbing related. You can even hire an emergency plumber if you need one ASAP. Attempting a major plumbing project by yourself can result in costly repairs and even serious injury to yourself. Not to mention it would be a daunting task if you’re not trained for the situation. In the age where DIY projects are all the rage, it can be tempting to try to do the repairs DIY-style, especially if you’re under the misguided advice that it’ll save you money. But the truth is, a small emergency issue can turn into a disaster within minutes if you make the wrong move. 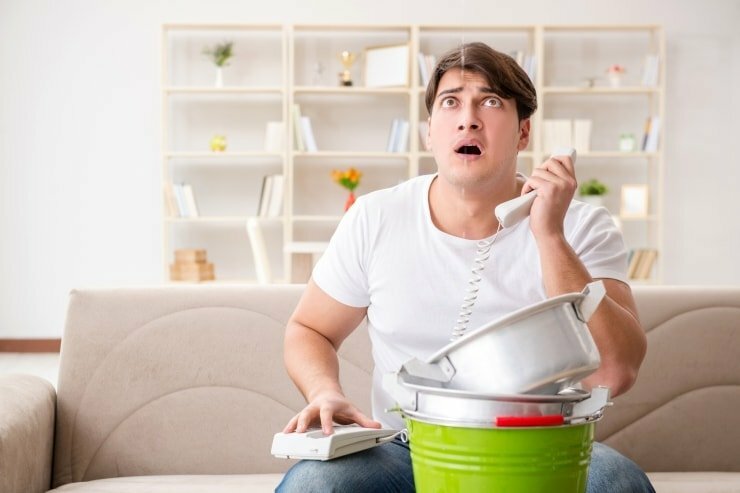 Calling an emergency plumber is always your best bet. Continue reading to learn the four reasons why you should always hire a professional plumber in the event of a plumbing emergency. Would you allow a family member with no medical knowledge to perform heart surgery on you? I doubt you would even consider it. Why? Because they are not qualified, trained, or have the slightest clue what they’re doing. In the event of a plumbing crisis, if you’re not a plumber, you should always reach out to an emergency plumber. They’ve had extensive training that allows them to assess the situation first. Then they can work swiftly to fix your plumbing problems. Plumbers have a slew of things they wish customers wouldn’t do. But trying to complete plumbing issues yourself takes the cake. Your first thought when a plumbing issue occurs is likely the cost involved. You go into a scarcity mindset because you think it’ll cost an arm and a leg to hire an emergency plumber. The chances of you making a mistake while trying to repair significant plumbing issues are high. Mistakes that can lead to devastating consequences. If this occurs, you’re looking at the primary cost of the repairs, plus the cost of any damage that transpires. And, if you damaged your home in any way – you’re looking at extensive repairs to your home too. Contrary to popular belief, plumbing isn’t always a safe job. Plumbers are among those who have the highest rate of injuries of all occupations. Severe injuries, even death, occur all the time in their profession. Is risking your life worth venturing into a plumbing project you’re not equipped to do? Aside from your personal safety, you’re also putting your most prized possession at risk: your home. Studies reveal that 86% of UAE residents don’t have home insurance. If you experience water damage or other damage to your property, you’re left holding the bag. During a plumbing catastrophe, you presumably don’t have the correct tools on hand. An emergency plumber arrives prepared with pre-approved products. Products that have been tested for safety and effectiveness. They’ll also have adequate tools for any situation that may arise. Plumbers who offer emergency services are always available and dependable. Yes, it can cost more if you call on a weekend, holiday, or after hours. But it’s absolutely worth it. Your safety and your home deserve the best. If you’re experiencing a plumbing crisis, call us, day or night, for help. In the meantime, check out our blog for more home improvement tips and advice.